Militants loyal to Saudi-led coalition in occupied Shabwah Province have arrested a gang led by influential people in Marib refinery, smuggling oil derivatives from Marib, to sell it al-Dhalea province and the Rabat area in the occupied city of Aden. 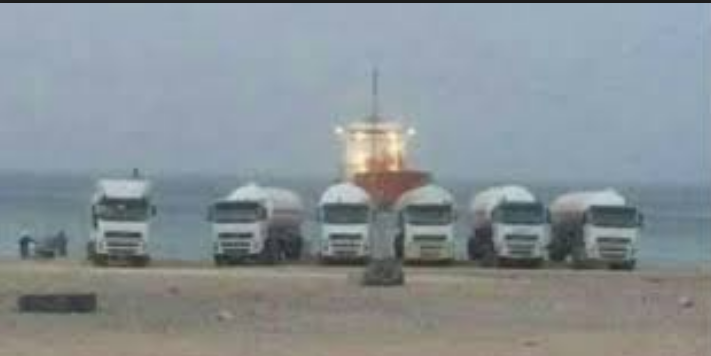 According to southern media sources, militants loyal to the UAE occupation at the Al Jalfoz points in the city of Ataq province, seized eight tankers loaded with the smuggled oil derivatives, from the Marib refinery under the control of Islah party militias, carrying an estimated 451 thousand liters, color dyed To be sold in the black market as if it is a commercial imported from abroad. The sources indicated that in the Marib refinery, run by two influential people and they are manipulating the oil derivatives produced by the refinery, filling the tankers with oil at night, and then colored the gasoline to change it from white to red, and permits are forged on the basis of the payload from an active port in the occupied port of skilled Saudi. Marib refineries have in the past months refused to supply the neighboring provinces, including Shabwah province, on the pretext that the quantities produced to cover the province, the media reported. According to the source accused the Islah leaders last week of looting more than 17 billion riyals a month from the revenues of Marib oil department, which reaches the coffers of these leaders through fictitious companies. During a television interview last month, the leader of the so-called “al-Shabwaian elite” accused the leaders of the Islah party of stealing oil in Marib and selling it for the financing of terrorist groups. Saudi-led coalition expelled by its paid fighters from southern Yemen!